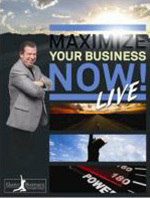 For those who want explosive growth in maximizing their business results and have more time off to enjoy their rewards. For those who want an interactive learning experience (without leaving work or home) to help them maximize wealth in all areas of their lives. For those who want to experience what it would be like to finally have control over their money.